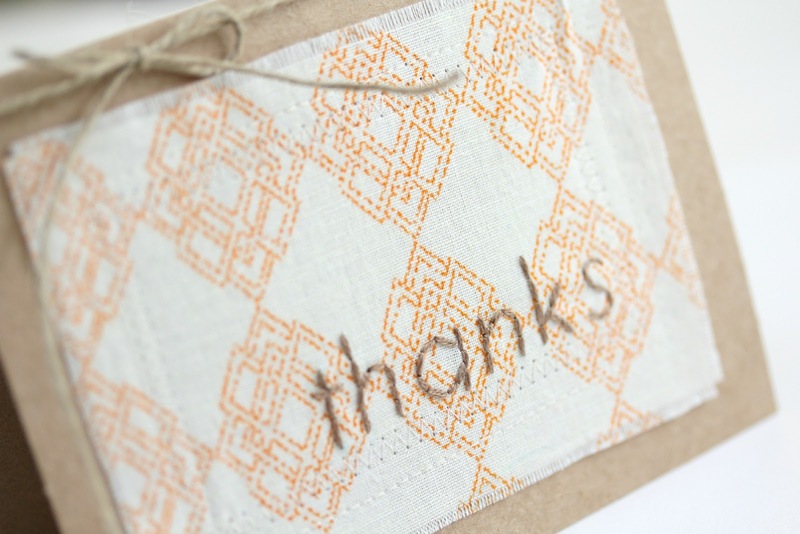 Today I am going to share a quick tutorial for making this sweet embroidered card. 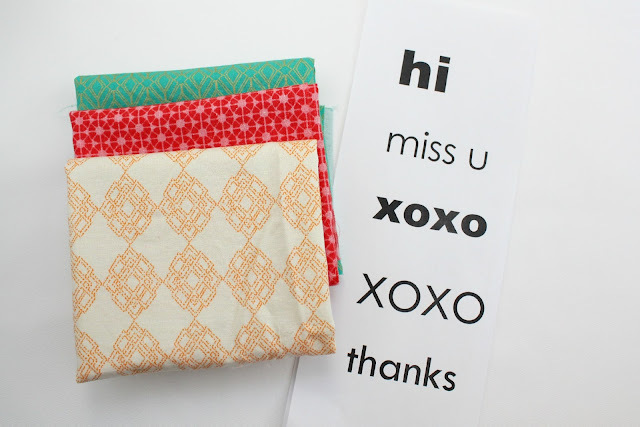 It's a great way to practice stitching letters while using up some of your scrap stash. 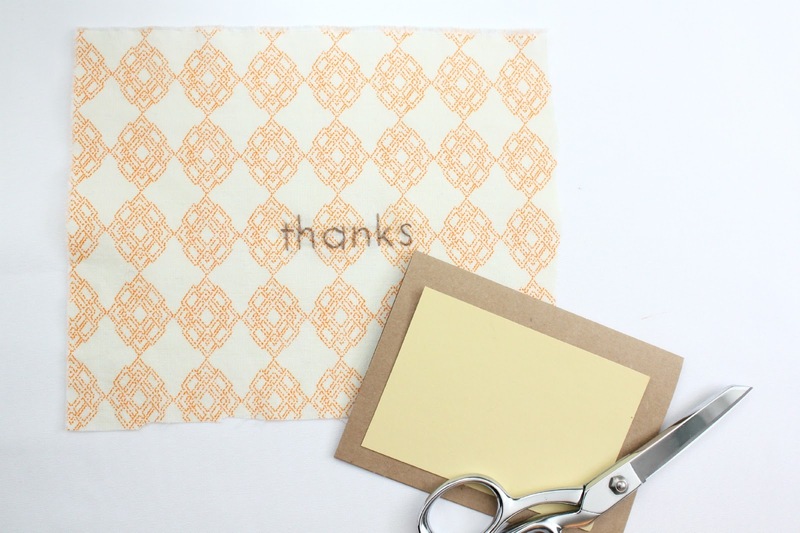 My "pattern" for the lettering on my card was made in Word. 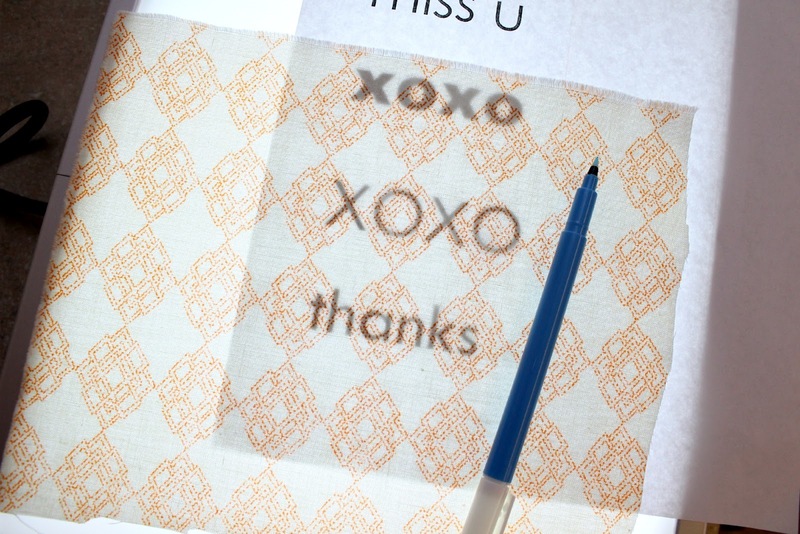 I just picked a simple font that I thought would be easy to trace and embroider. 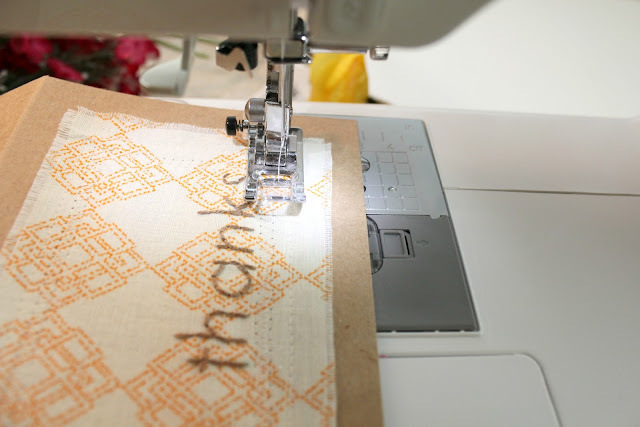 Trace your pattern onto your fabric using a light source and a water soluble pen. I have a light box that I use to trace embroidery patterns, but a brightly lit window with your pattern and fabric taped up would do the trick as well. If your fabric is light enough, you might be able to trace it with no light source behind your work. 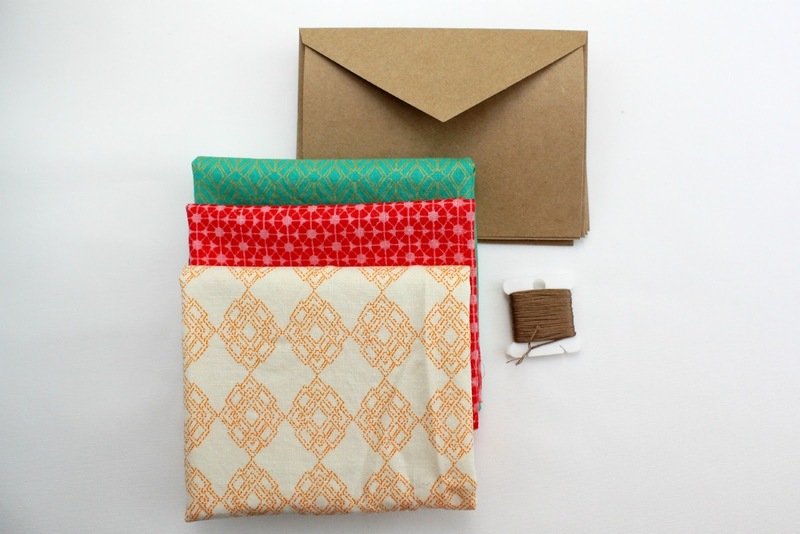 After you've traced your pattern, it's time to stitch. I just used a simple back stitch, but if you're feeling ambitious, you could try a chain stitch or stem stitch. 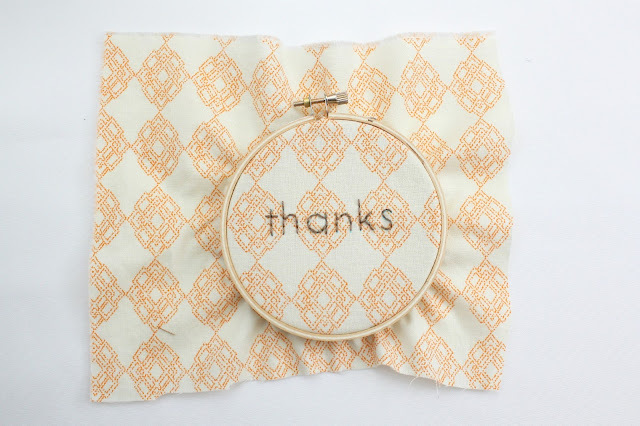 Take your stitching out of the hoop, iron, and cut your fabric down to the size you'd like. My card was 4.25" x 5.5" and I wanted a half inch border around the edge of my fabric, so I cut a template (that yellow piece of paper) that measured 3.25" x 4.5". Once I had my template cut out, I used it to cut my fabric. Stitch down the fabric to your card. I found it helpful to use a bit of Scotch tape around the very edges of my fabric to hold it to the card and prevent shifting while I sewed. Make sure the tape is close to the edge of the fabric so that you don't sew over the tape. Also be aware that sewing through paper can dull your needle, so you may need to change your needle after. I find it useful to keep a designated paper sewing needle so all of my machine needles aren't ruined when I work with cards. 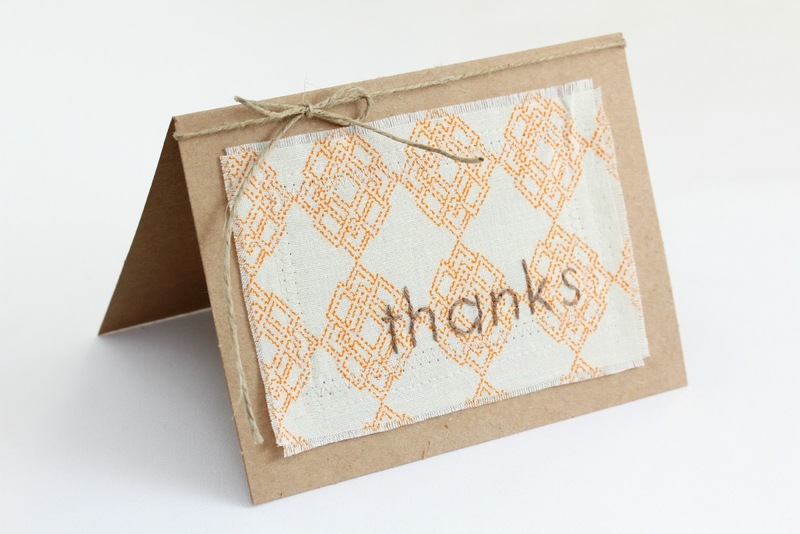 Tie on a bit of ribbon or twine and you have a sweet card ready to send! Sweet! I could do this! Thanks! Une très jolie idée. Merci pour le tuto. This is awesome! I've been really into embroidery lately, so I'm definitely going to try this. Thanks for the tutorial! Love this! 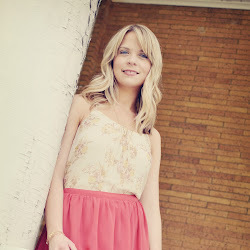 You're so creative :) I'm glad I found your blog.